No matter where you go, you are likely to hear how bad it can be to carry a lot of debt. With the economy continuing to be in the doldrums, it is logical that people would like to avoid taking a loan – fearing their inability to pay premiums back in the long run. But the budget and financial situation of every home buyer is different. Let us weight the advantages & disadvantages of buying a property in cash. Ease of Buying and Selling – You are the direct owner of the property from the very first day. Eliminating the presence of the bank provides easy exit and better negotiating power, a quick and painless transaction. No Interest Payment – A good amount of money is saved from interest payment. The same can be invested in products with high returns. Sense of Security – Irrespective of the financial ups and downs you have ensured a place for your family. Getting Loan against property – Although we tend to borrow from friends and family a situation may arise where amount needed is large. Here a loan can easily be obtained from bank using owned property as collateral. Liquidity Loss – Taking out a huge amount of cash from business or otherwise at one go is never easy. An outright cash deal may develop financial constraints on daily lifestyle. Benefit from favorable interest rate – As most of the loan installments and loan interest payments are locked, during inflationary periods, it could be blessing in disguise, to have cracked favorable interest rate of loan. No Tax Benefit – Buyers of property in cash cannot avail any tax benefits. 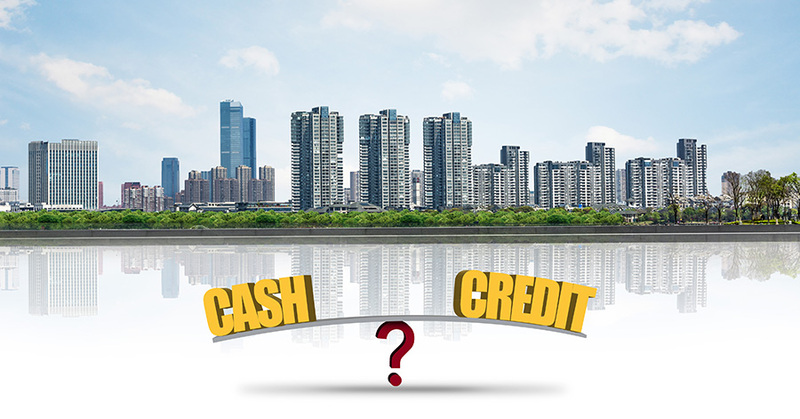 Considering the above one must take an educated and sensible decision whether to buy property in cash or credit. Market conditions and individual financial strength will definitely play an important role. StarOm Millenia, one of the high rises in North Kolkata is one such project that’s worth an investment in case you are sure to buy a property either in cash or credit.